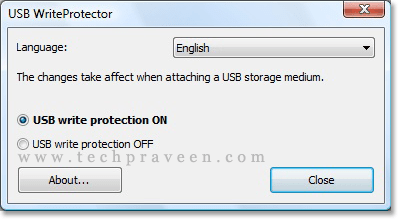 How To Write Protect Your USB Flash Drive? You are here: Home / Security / How To Write Protect Your USB Flash Drive? Here is a freeware utility to make your USB flash drive write protected in single click.USB Write Protector is a portable application that prevents viruses getting copied to your flash drive themselves.